Charter flight I Rent of jets I Aircraft for sale I Gulfstream G450. CHARTER | CHARTER FLIGHT | RENT OF JETS |AIRCRAFT FOR SALE - GULFSTREAM G450. Jet rental has become a popular service provided by charter companies. 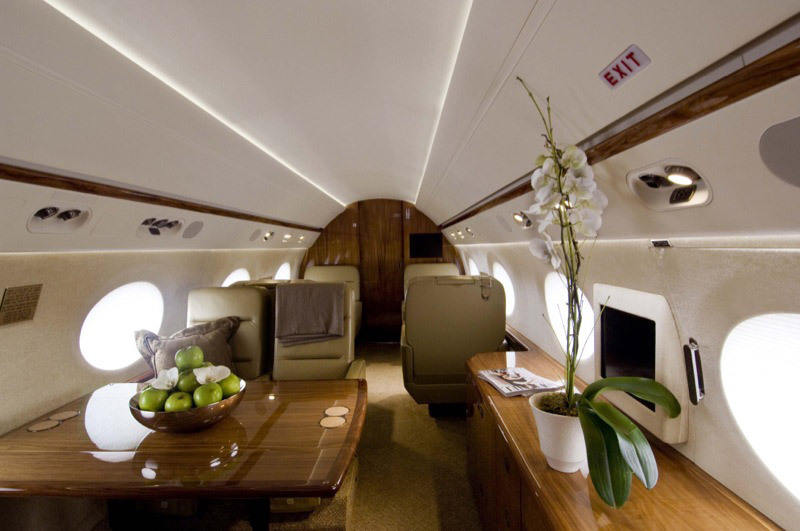 Charter flights arranged by the ICC JET Company provide a wide range of private business jets. Among all models, the line of business jets from the Aircraft Gulfstream Company stands out with its combination of range, efficiency, reliability and comfort, especially in the passenger compartment. Safety and excellent technical performance of the Gulfstream G450 jet has become a natural extension of the previously popular model for charter flights: the Gulfstream IV. The main differences re that the new Gulfstream G450 has Honeywell Primus Epic avionics, is equipped with advanced safety systems and allows for transcontinental flights, even in difficult weather conditions. The maximum practical range of charter flights with the Gulfstream G450 jet is 8,061 kilometers. 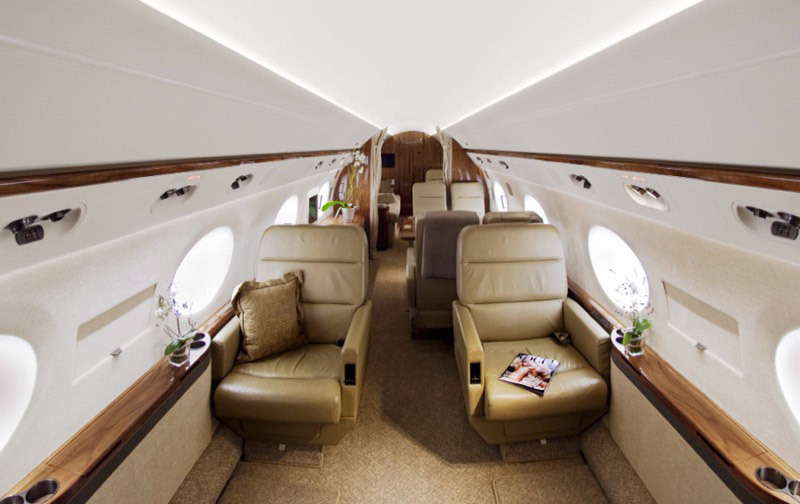 Charter flights from Moscow to New York with the Gulfstream G450 jet are fairly simple. Maintaining a cruising speed of 850 kilometers an hour, and carrying no more than eight passengers, the jet will easily cross the ocean to deliver you to the right place. The practical ceiling of the jet is 13,720 meters. Control over the engines is performed by the FADEC digital engine control system, achieving maximum fuel efficiency and safety of its turbines. It is through these two engines that the Gulfstream G450 jet is able to land and take off from short runways in thin air at high altitudes. Many airports in the mountains are not available for other private jets – the rent of the Gulfstream G450 jet is perfect in such situation, bringing you even to Slovakian Poprad-Tatry, or to Chinese Yadin, in the mountains of Tibet. The maximum speed of the Gulfstream G450 business jet is 935 kilometers per hour. This top speed indicator can also be taken into account, but then the allowable range without refueling needs to be recalculated. The crew cabin in the Gulfstream G450 jet is worth a special mention. The new Gulfstream G450 control system excludes possible pilot error and allows tracking the flight status on two LCD displays right of the hand wheel. 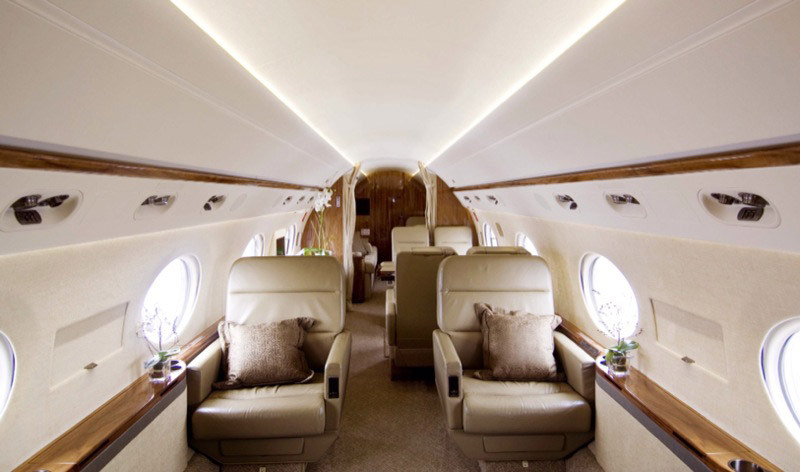 The Gulfstream G450 Charter gives passengers every opportunity to realize that the jet worthy to be trusted with a few-hour-long transcontinental flight. Charter flights by the Gulfstream G450 jet ensure considerable time saving by reducing the waiting time for jet flight readiness and direct flights between relevant city pairs.